4/20 is perhaps the most famous catchphrase amongst those submerged in cannabis culture. On April 20th every year, at 4:20 pm, the stars align for all those who love the plant. This day is heavily celebrated, with cannabis events worldwide. However, understanding where the term “4/20” originated from is rarely discussed. It is not a reference from the bible, or any state law, or postcode. Nowadays, we can ask somebody if a place is 4/20 friendly, which would indicate that area has a relaxed approach when it comes to cannabis. A non-user may not even pick up on the reference if heard out loud, which is why that phrase has been embedded deep into cannabis culture. The actual context of 4/20 is a reference to the time of day, 4.20 in the afternoon. A group of friends in California who named themselves ‘The Waldos’ would meet at the same location after school, where at around 4:20 pm, the first joint of the day was enjoyed. This phrase quickly gained popularity amongst local smokers and eventually became a common saying in California. There is some debate about which individual originally came up with that phrase, yet there is enough evidence to suggest it originated at San Rafael High, California and ‘The Waldos’. As an annual event, this is the big one for many who cannot attend expos, cups, frequent smoking trips to Amsterdam, Barcelona or travel to the States. Around the world, celebrations will range from house parties, outdoor festivals, cups, music concerts, and more cannabis filled fun. In Amsterdam, they will celebrate with the local 4/20 Cup and smoke a 42 gram joint. 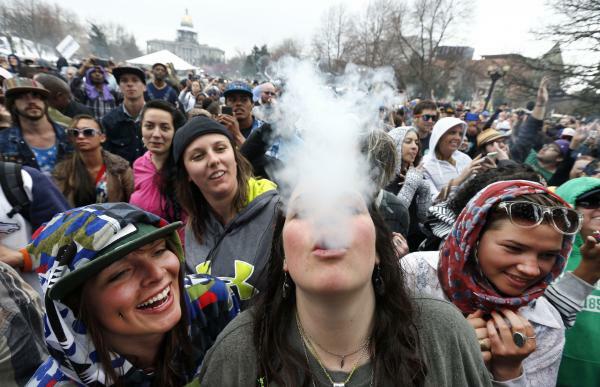 Hyde Park in London will host a day for cannabis lovers and Colorado will host Marijuana Appreciation Day. If you search online for what event your city has, there is usually a canna-friendly guide, which can inform you of what is happening close by. In California, the state Senate has created a programme known as the Medical Marijuana Program Act. It was designed to accommodate medical users of cannabis, without facing any state laws or penalties. The state bill 420, outlines the requirement and process to become a licensed medical user of marijuana, legal limits, plant count and how to become an authorised user of medical cannabis. It was named Prop 420, as this was the most obvious and convenient number for the bill’s nature. There have been many stories that attempt to explain the origins of the term 4/20. A term that was created back in a high school has travelled across the world and has picked up many false claims along the way. Some of the most famous ones are that Bob Marley died on this day, which is not true at all. The world sadly lost the most celebrated reggae singer to ever live on May 11th. Another belief is that there are precisely 420 cannabinoids inside of a cannabis plant. This is not true. As more research is being done, more cannabinoids are being discovered. People used to say that in America, the police radio code for a cannabis bust was 420. Again, this is not true yet ironically comical. Some growers do start their outdoor crops every year on April 20th, to signify a day for cannabis and the true arrival of Spring.